Hey lovelies! This blog post brings you the final Push Your Mani prompt. I've really enjoyed doing these challenges this month, and I'm hoping to be able to complete full months even more often! 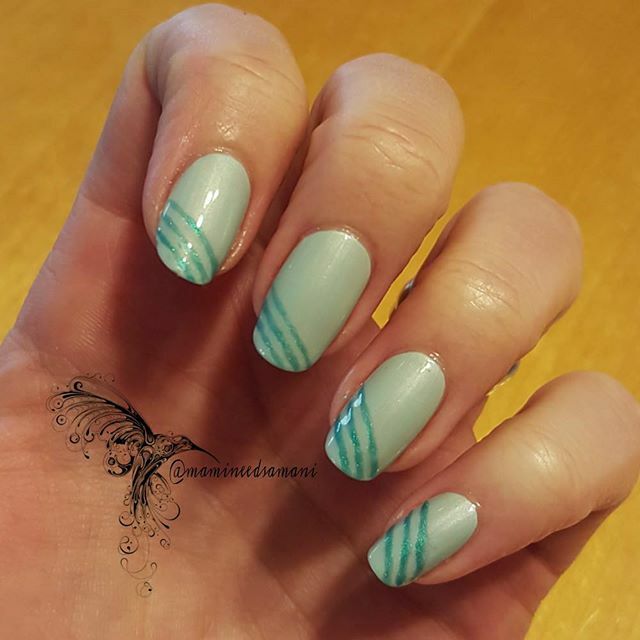 This mani is done using Bonita Frosty. I used NYC East Village for the freehand stripes.